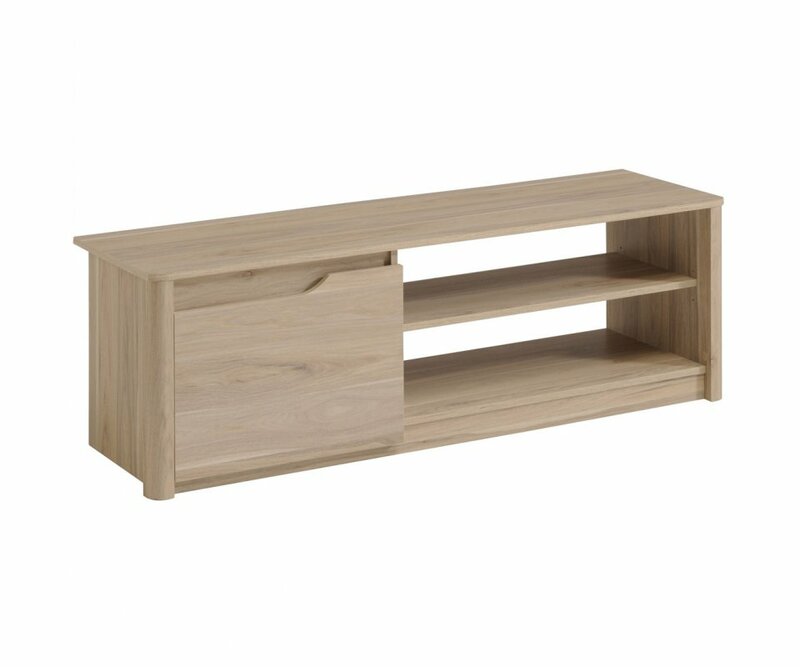 HIGH QUALITY: Made to be sturdy and able to hold the weight of a heavy television, the Wendy TV table is manufactured from high-quality particleboard, and covered with a beautiful and durable foil-finish veneer. 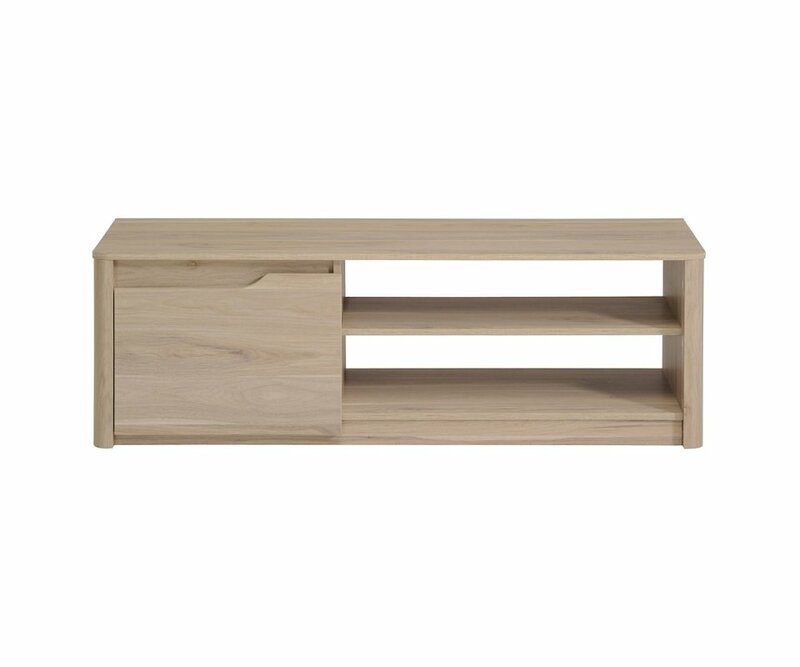 DESIGNER STYLE: With sleek lines and curved cutout design for opening drawers, the Wendy TV table combines beauty and practicality in contemporary style! COLOR: The Dakota oak foil-finish veneer is a warm gray-beige woodgrain that makes an appealing blend with other woodgrains and color schemes in your home décor. 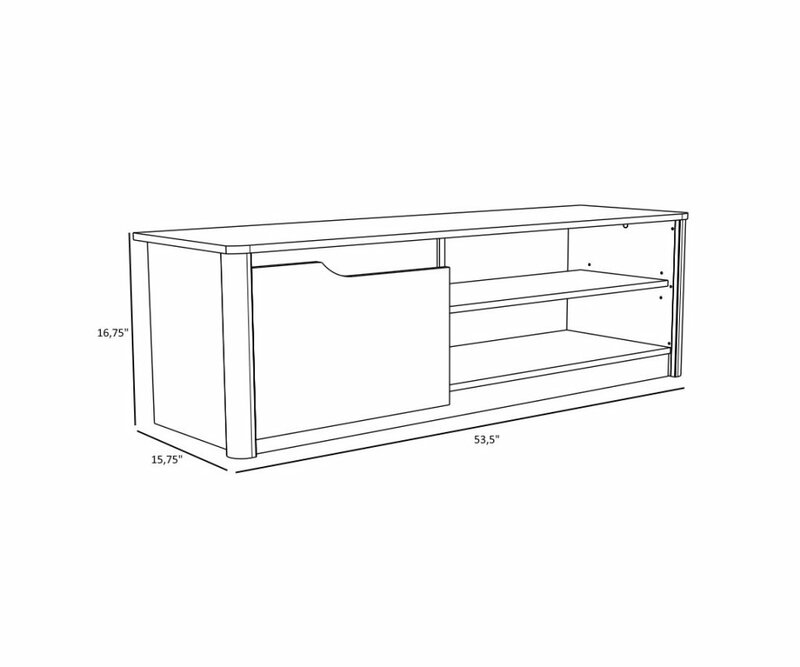 STORAGE: A closed cabinet with shelves and two long, open shelves hold everything you need for operating your TV and game center and storing DVDs, game controllers and more. ECO-FRIENDLY: The Parisot Company cares about the environment. They use only eco-managed forest wood sources, process and package with low-solvent emissions and low-waste materials, and have earned the Green Way accreditation! HIGH QUALITY: Strong high-grade particle board won’t bend or bow from heavy objects and is covered by durable Dakota oak structured foil finish veneer that is resistant to stains, scratches and water damage.CONTEMPORARY STYLE: Sleek, modern cabinet style, with staggered open shelves and cabinets, a..